Product prices and availability are accurate as of 2019-04-18 08:09:46 UTC and are subject to change. Any price and availability information displayed on http://www.amazon.com/ at the time of purchase will apply to the purchase of this product. 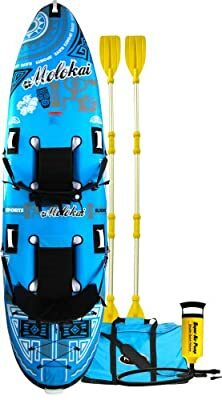 Kayak World Products is delighted to present the brilliant 02383 Rave Molokai Kayak (136 X 35 X 8-Inch, Blue/White). With so many available these days, it is great to have a name you can trust. 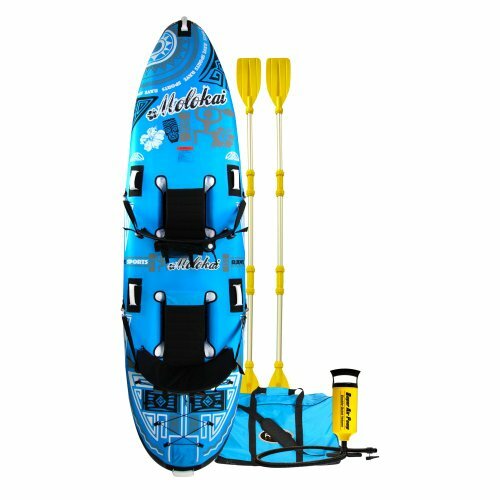 The Rave Molokai Kayak (136 X 35 X 8-Inch, Blue/White) is certainly that and will be a superb purchase. 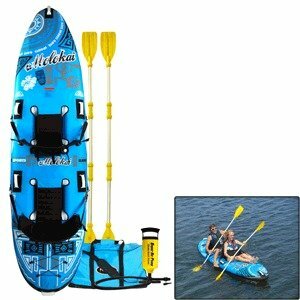 For this great price, the 02383 Rave Molokai Kayak (136 X 35 X 8-Inch, Blue/White) comes widely respected and is a popular choice with lots of people. RAVE has included some excellent touches and this results in great value. 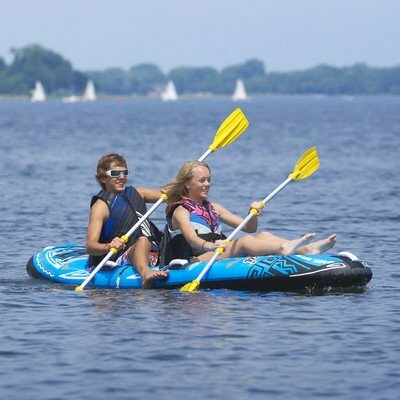 The Molokai is our 2 individual, lightweight inflatable kayak that is excellent for taking pleasure in lakes, rivers or streams. Much like the 1 individual Sea Rebel, the Molokai also showcases a flexible back-rest with water resistant dry bag and bottle owner and recumbent design sling seat that produces a comfy, relaxing ride. The Molokai consists of a hand pump, 2 paddles and hold bag to quickly deliver anywhere!